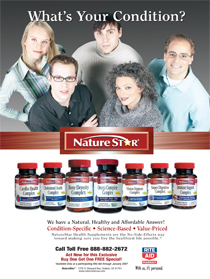 Nature Star’s Cholesterol Health Complex contains “Heart Choice® - Vegapure”, a complex of vegetable sterols that have been processed through a patented technology by Cognis Corporation. This patented process produces a complex blend of “esterified” sterols that results in improved bio-availability and absorption, as much as ten times than those of traditional sterol blends. Sterol esters have been shown to help maintain cholesterol levels within normal range as well as reduce blood levels of “LDL” cholesterol, or low density lipoproteins that are responsible for circulation issues including high blood pressure and atherosclerosis, or hardening of the arteries. 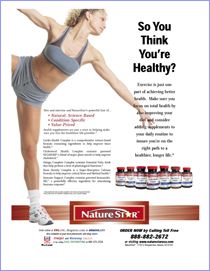 As “LDL” levels are reduced, a better “HDL” to “LDL” balance is achieved, a better ratio to improve cardio vascular health..
Heart Choice ® - Vegapure contains B-Sitosterol, Campesterol, Stigmasterol, Brassicasterol and other sterols exceeding 1,000 mg of free sterol, derived exclusively from a variety of vegetable oils. 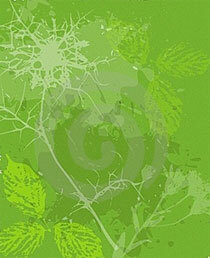 This exceeds the dose required by the FDA for approving statement claims for reduction of cholesterol. 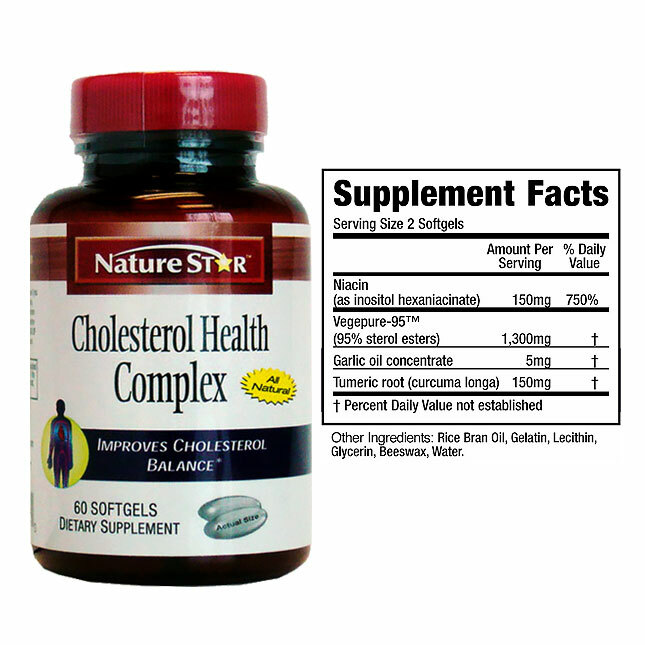 Nature Star’s Cholesterol Health Complex also contains niacin in the form of inositol hexaniacinate which has been shown to improve circulation without the flushing associated with other forms of niacin, as it is a vasodilator for improving circulation. Garlic and Tumeric are also included in this formula, as they have long been traditionally used to improve overall circulation and arterial health. Same identical product is sold in national chain stores for $14.99.